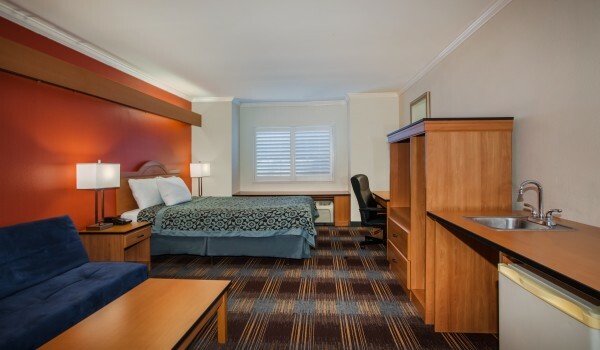 Our one queen bed guest room comfortably accommodates up to 2 guests. 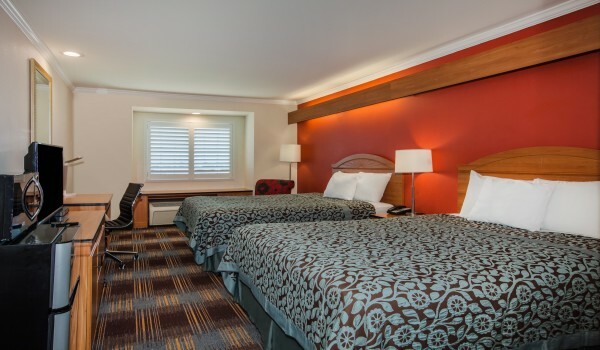 This non-smoking room includes complimentary WiFi, a TV with premium cable, complimentary movies, an alarm clock, AM/FM radio, a telephone, complimentary local calls, and a desk with an Ergonomic chair. Our non-smoking rooms also include a refrigerator and microwave, personal climate control, an iron and ironing board, complimentary local calls, and a coffee and tea maker. The private bathrooms include a hair dryer and complimentary signature toiletries. 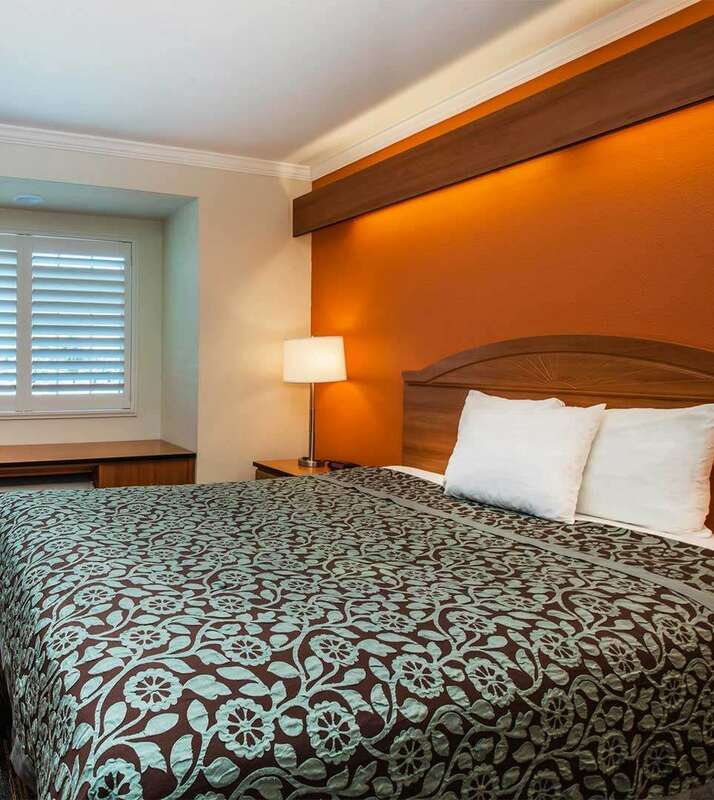 Our two queen non-smoking guest room comfortably accommodates up to four guests. This well-appointed room includes complimentary WiFi, a TV with premium cable, complimentary movies, an alarm clock, AM/FM radio, a telephone, complimentary local calls, and a desk with an Ergonomic chair. Our non-smoking rooms also include a refrigerator and microwave, personal climate control, an iron and ironing board, complimentary local calls, and a coffee and tea maker. The private bathrooms include a hair dryer and complimentary signature toiletries. Our one queen bed suite comfortably accommodates up to four guests. 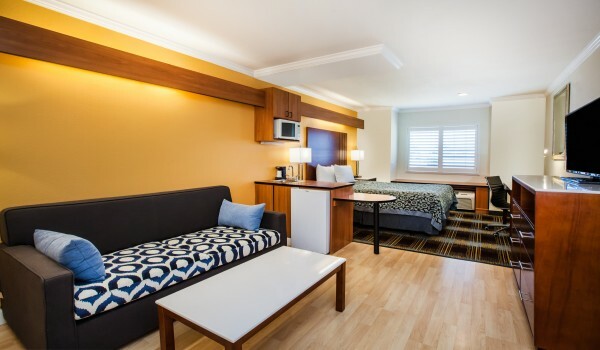 This spacious non-smoking suite includes complimentary WiFi, a TV with premium cable, complimentary movies, an alarm clock, AM/FM radio, a telephone, complimentary local calls, a sofa bed, and a desk with an Ergonomic chair. Our non-smoking rooms also include a refrigerator and microwave, personal climate control, an iron and ironing board, complimentary local calls, and a coffee and tea maker. The private bathrooms include a hair dryer and complimentary signature toiletries. Our accessible one queen bed suite comfortably accommodates up to two guests and is ideal for those looking for a spacious room with mobility features. This non-smoking suite includes complimentary WiFi, closed-caption TV with premium cable, complimentary movies, an alarm clock, AM/FM radio, a TDD telephone, closet rods at wheelchair height, complimentary local calls, and a desk with an Ergonomic chair. 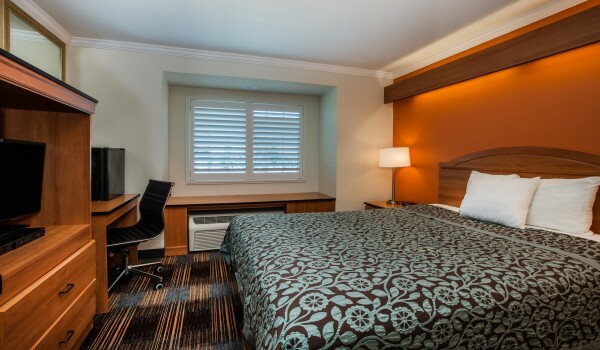 Our non-smoking rooms also include a refrigerator and microwave, personal climate control, an iron and ironing board, complimentary local calls, and a coffee and tea maker. The private bathroom features a roll-in shower, shower seats, an adjustable hand-held shower wand, a toilet seat with stability bars, a hair dryer, and complimentary signature toiletries.